Established for over 20 years, Simply Morzine is renowned as one of the best employers in the Alps. We have a low staff turnover and recognise we are only as good as the people we employ. In addition to the competitive wage, bonus & all-round package, we treat our team as we would want to be treated ourselves. We place utmost priority in looking after our team within a supportive and fun working environment and are immensely proud that so many of our members of staff down the years have been past guests. ‘Team Simply’ enjoy a thrilling lifestyle in one of Europe’s premier alpine resorts. In return for your dedication, enthusiasm and professionalism, we provide an exceptional package including superb, spacious central Morzine accommodation (with phone, WiFi and UK Freesat TV), food, return flights, full Portes du Soleil ski pass or summer Multi Pass, free ski/board equipment hire, free summer activities, fully comprehensive insurance, an equal split of chalet honesty bar profits & tips, holiday pay and generous end of season bonus. Professional chefs with professional experience of working in establishments to a minimum one AA Rosette level OR graduates having undertaken extended courses from well reputed culinary schools. Hosts with experience of working in higher-end hotels, restaurants and other hospitality establishments. 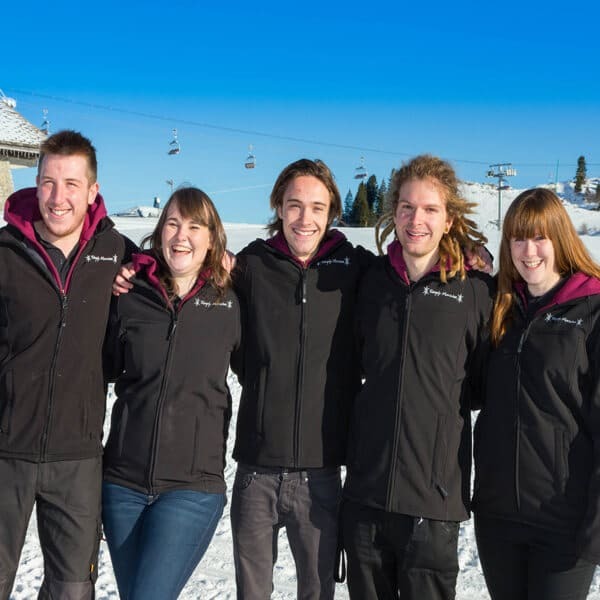 Representatives who are passionate about the mountains, with significant ski/alpine holiday experience, strong organisational skills and confidence to be the ‘front face’ of the company. Drivers with 2 or more years of work related driving experience in some capacity in the last 10 years (which your previous employer is prepared to confirm in a letter), a driver CPC (from having worked as a coach or truck driver) or a RoSPA advanced drivers’ certificate (or be prepared to do this 3-4 day course). Experienced and qualified tradesmen e.g. a carpenter, general builder or a very accomplished home ‘DIYer’. We also occasionally recruit for seasonal and year round UK office-based roles such as sales, marketing and administration. We welcome applications from top-quality candidates. If you are interested in working for Simply Morzine, please send your CV with covering letter (plus sample menu for chefs) to recruitment@simply-morzine.co.uk. Due to high levels of enquiries, we regret we are unable to respond to all applicants. To be considered you must have a full UK national insurance number, EHIC card, UK bank account, hold an EU passport and be available for a face-to-face interview either at our UK office in the East Midlands or in Morzine. 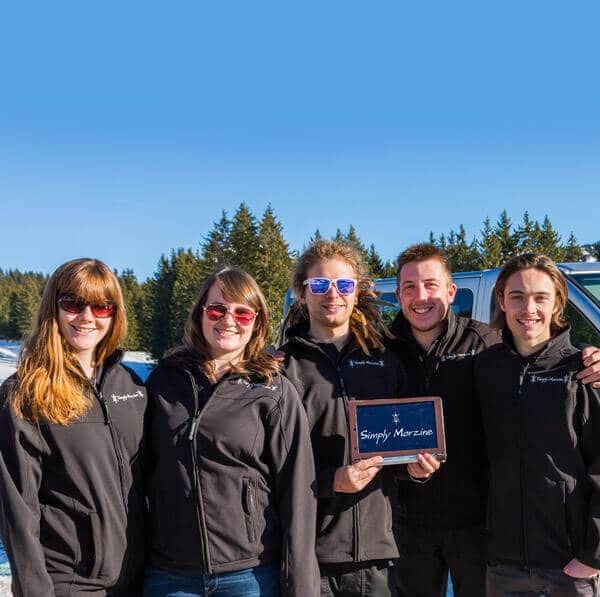 Please find below brief job descriptions, outlining the key roles and requirements of each seasonal position within the Simply Morzine resort team. NOW RECRUITING FOR SUMMER 19. This position is extremely varied as it involves acting as a Resort Representative, driving company minibuses and acting as a general ‘caretaker / dogsbody’ around company property. It is a lynch-pin role for our resort operations. You must be proactive and flexible, adopting a ‘nothing is too much trouble’ attitude to provide a seamless and exemplary service to all guests. Taking credit card and cash payments. Driving, equipping and maintaining company minibuses. Providing our ski shuttle service in winter and transport to activities in summer. Providing professional transfers to and from Geneva airport. Organising and accompanying summer activities and walks. General labouring /upkeep / cleaning jobs around company properties, vehicles and grounds. On changeover day you will be expected to assist in any way possible. A vital skill of this job is to create an informative and sociable relationship with guests, without being obtrusive. Discretion and common sense are critical. 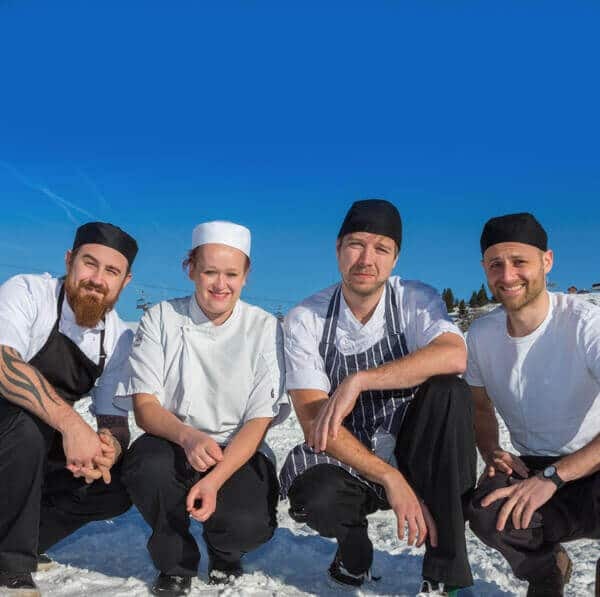 Chalet Chefs will be catering for 10-22 people (chalet dependant) - in an open-plan or closed kitchen - thus must be organised, presentable, committed and consistent. Applicants must be comfortable working in a chalet kitchen alongside and as part of a team with your Chalet Host(s). Managing and taking ultimate responsibility for the kitchen. Preparation of a hot and cold buffet breakfast, afternoon tea and cakes, 4 course evening meal and separate children’s meals as required. Catering for vegetarians and special dietary needs if required. Catering for your ‘Team Simply’ colleagues. Ensuring an impeccable standard of cleanliness and hygiene at all times in accordance with all local HACCP regulations. Shopping, budgeting, stocktaking, ordering and deliveries. Driving company minibuses, e.g. to and from shops, from your accommodation to the chalet etc (preferable but not compulsory). 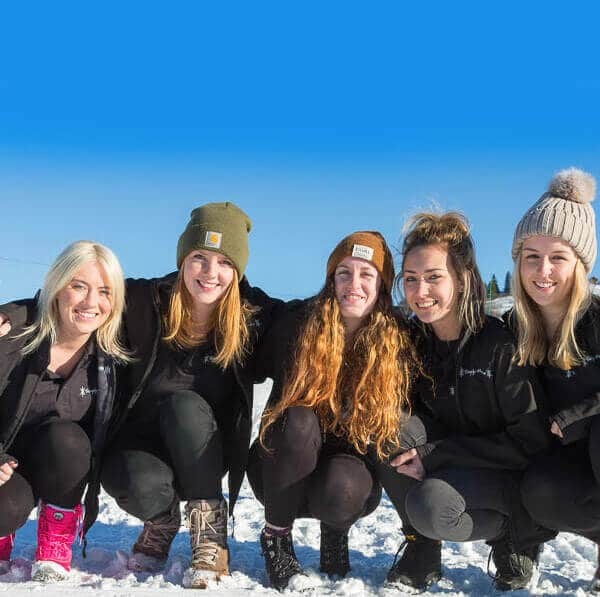 Whilst your main job is in a hostess, waitress and cleaning capacity, you will be expected to be flexible, working as a multi-functional team to help out in all aspects of chalet operations. The position involves balancing the need for meticulous attention to detail with working in a time-efficient manner to tight deadlines. Acting as a Chalet Host. This requires client contact in a friendly, 'nothing is too much trouble', intuitive and professional manner. Laying, serving and clearing of breakfast, afternoon tea, evening meals and early children’s meals if required. Assisting the Chalet Chef in general kitchen duties, e.g. washing up, kitchen prep and cleaning down. Cleaning and tidying of accommodation to a very high 'hotel' standard, e.g. bedrooms, toilets, bathrooms, communal areas, terraces, garage, ski store, sauna, spa etc. On changeover day you will be expected to assist in any way possible across all properties. ....including Resort Representative & Driver. Applicants must be a good ‘all-rounder’ with a range of DIY skills, including carpentry & basic plumbing, taking pride in their work and with great attention to detail. The ideal candidate is from a trade or general building background although an accomplished ‘home DIYer’ would also be considered. Repairing and upkeep of properties / equipment / grounds with multiple tools, including emergencies and on-going jobs. Putting up / repairing fixtures & fittings, tiling / grouting / sealing, painting / decorating, sanding / treating woodwork, basic plumbing and electrics, fitting kitchen and bathroom appliances, fixing electrical equipment, general multi-purpose carpentry. Assessing problems, fixing in-house where possible or justifying when a tradesman is required. General labouring jobs around Simply Morzine properties and grounds. For example: snow / ice clearance, checking / cleaning / maintaining hot-tubs, cleaning vehicles / terraces / grounds / windows / storerooms, managing bins/recycling, tip runs, clearing drains, gardening & mowing lawns, general errands. Overseeing / updating jobs list spreadsheet and prioritising maintenance tasks. This role also entails that of the Resort Representative & Driver position (see separate job summary). “Morzine was the perfect place to go, skiing somewhere different every day. Simply Morzine provided an excellent service, really helpful representative who regularly visited the hotel offering top tips and advice. Our transfers, lift passes and ski hire, were organised which meant we could ski the day we arrived. Could not have asked for more and we can definitely recommend staying Simply Morzine."